There was a time last year, December, to be precise, when West Ham United Co-owner David Sullivan had revealed the club will be looking at the age of the players they will be signing. Fast forward a month and the club signed Patrice Evra who was 36 at the time and was easily past his peak. The subsequent fan-reaction? Quite a lot of bitterness, and understandably so. This summer, though, the club have moved ahead of their close rivals in mid-table and signed some world class players. 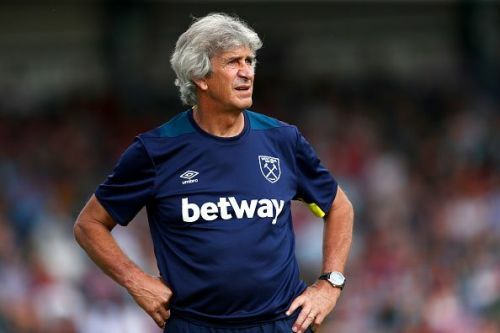 The first big move, though, was getting rid of David Moyes and hiring Manuel Pellegrini who has quite a lot of experience in not only guiding mid-table clubs to more prosperous times but also winning league titles. Alright, things started on a positive note under Slaven Bilic as they signed some talented players and had a certain Frenchman in attack. But as the season progresses, the Hammers just couldn’t tweak their game tactically and were found undone when Dimitri Payet had an off day. The tactical nuance that Pellegrini offers is a lot more than what Bilic has managed, though. Under him, Malaga had their best run in years and even upset the likes of Real Madrid on their run to finishing in the top four. They played in the Champions League and topped their group that had UCL regulars AC Milan; no easy feat, that. With time, Malaga tailed off and Pellegrini moved on before that. But his subsequent spell with Manchester City where he won the league title showed that he has what it takes to manage the best sides in the World. So West Ham will benefit from his presence on the touchline.